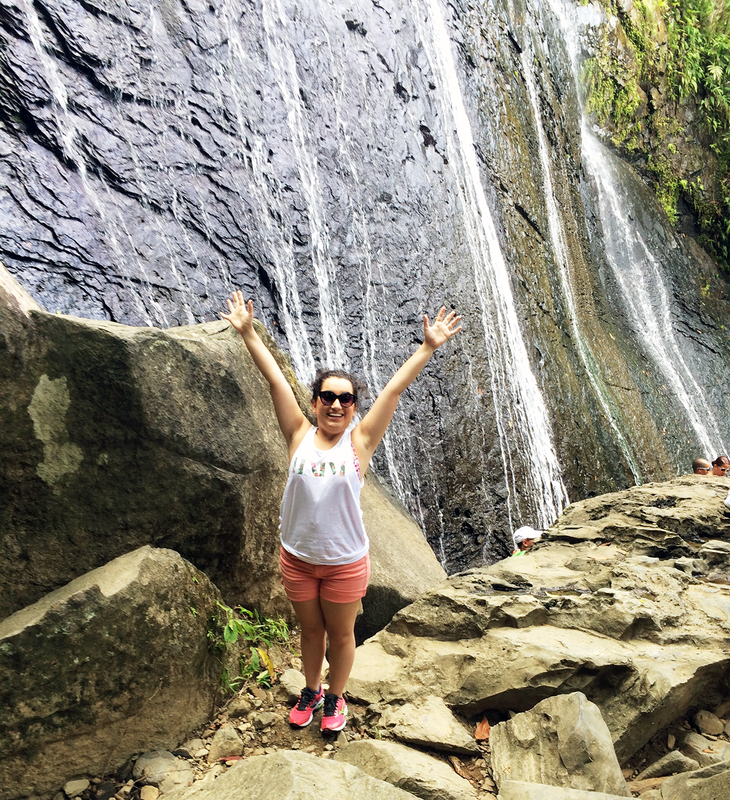 As promised, I'm here to recount some of my (mis)adventures during my time in Puerto Rico early last week. For those of you who are blissfully unaware of my ethnicity, I'm 100% Puerto Rican, although there are some people out there who would try to argue that I'm just 100% Caucasian because Puerto Ricans just aren't as pale as I am! Le sigh. Anyway, my family and I hadn't been back to Puerto Rico in over 18 years, so we jumped at the opportunity to go for a family reunion. Because I am all about comfort and still looking stylish, I found these gorgeous stretchy pajama-ish pants at Old Navy right before my trip. I absolutely love the print on them, and ohhhh my lanta were they comfortable. Perfect for the 2.5 hour flight to PR. I topped it off with a loose-fitting white tank top that I purchased at Gap. Since the condo we rented was right on the beach, I knew I'd be spending most of my time there, so I threw on my Roxy bikini top on under it, and wore my beachy DV by Dolca Vita sandals on. 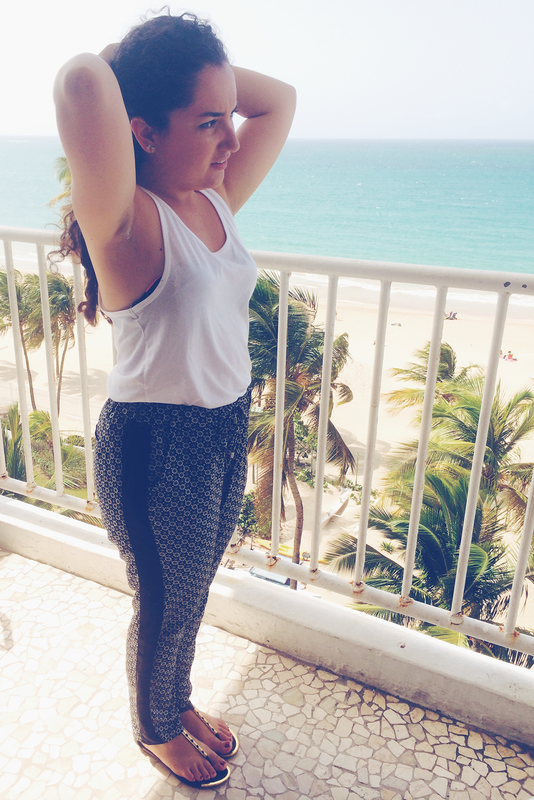 Shop this outfit below! 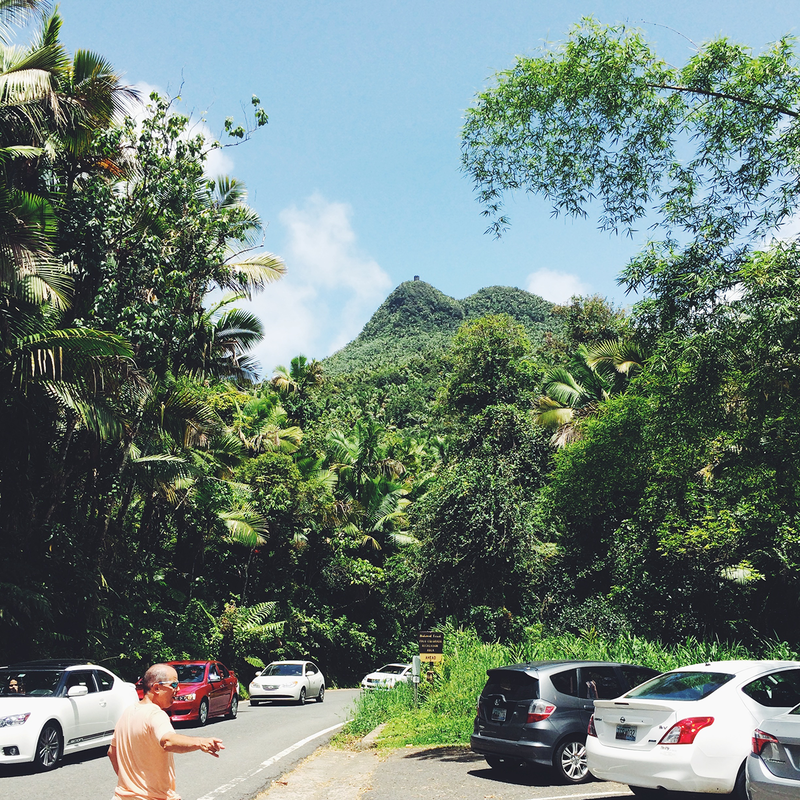 The day after we flew in, we decided to tour El Yunque, which is the only rainforest in the US National Parks System (or whatever it's called). It is absolutely gorgeous to go through this national park, and definitely reminded me of Jurassic Park. I was half expecting a pterodactyl to come ripping through the trees and to eat me up whole. 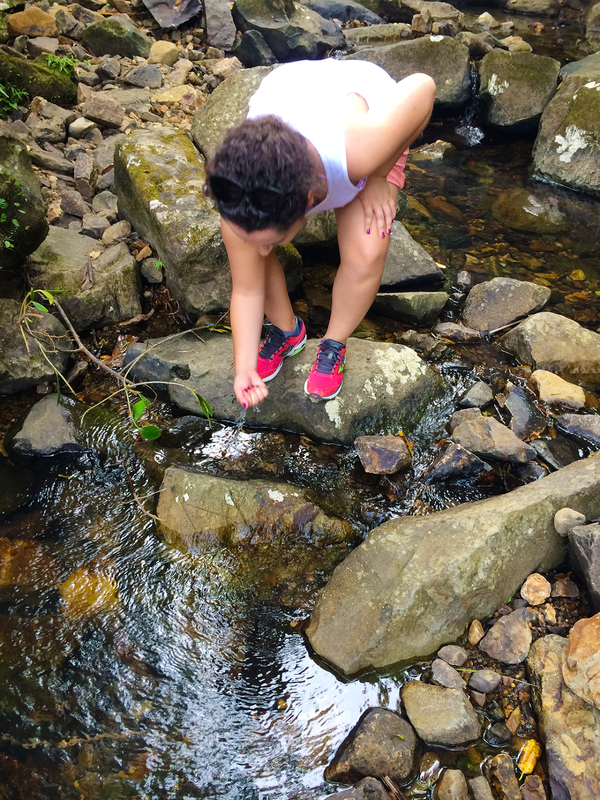 There are different trails you can hike, and different waterfalls that you can swim near. There is definitely something for everyone here. It should come as no surprise that I'm not the most athletic person, so climbing up a bunch of rocks to get a picture in front of this waterfall was a HUGE feat for me. It was incredibly slippery and steep to get up there, so if you plan on visiting: wear appropriate shoes! Fortunately I was smart enough to bring my running shoes with me, but my poor sister only brought her Crocs along and was barely making it through. 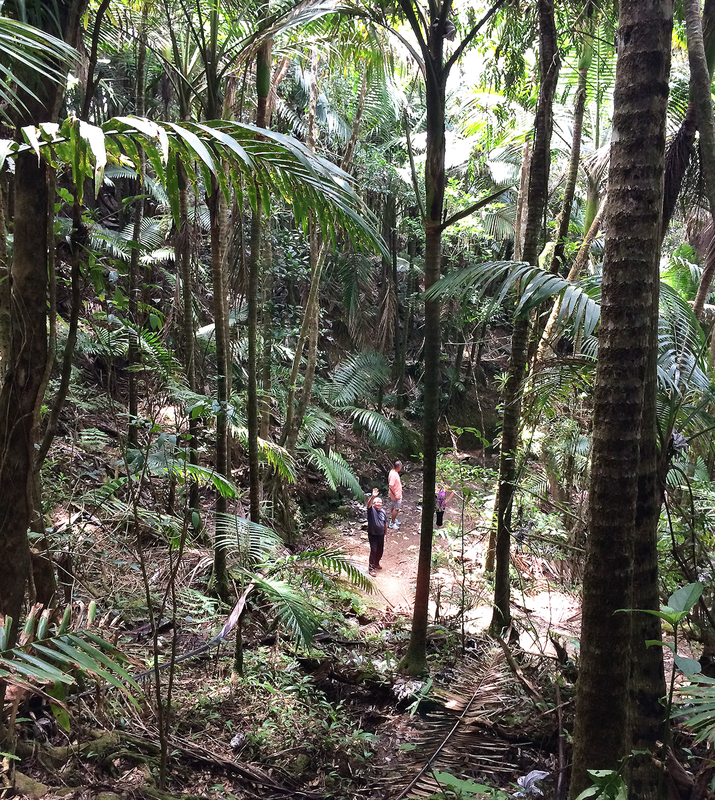 While in El Yunque, we thought we would go for a nice hike. Little did we know we were taking the most difficult trail in the whole damn park. It was absolutely beautiful, but we probably hiked 10 miles roundtrip, and almost made it to the peak. We would have made it to the peak of the mountain if we had thought to bring food and water. Yes, you read that correctly. We didn't bring any water or any food because we thought we were taking the easy, ten minute trail. Keyword: thought. Rookie mistake!! While I was practically on death's bed hiking up a friggen mountain, I will admit that it was one of the most beautiful and breathtaking walks I've ever taken. 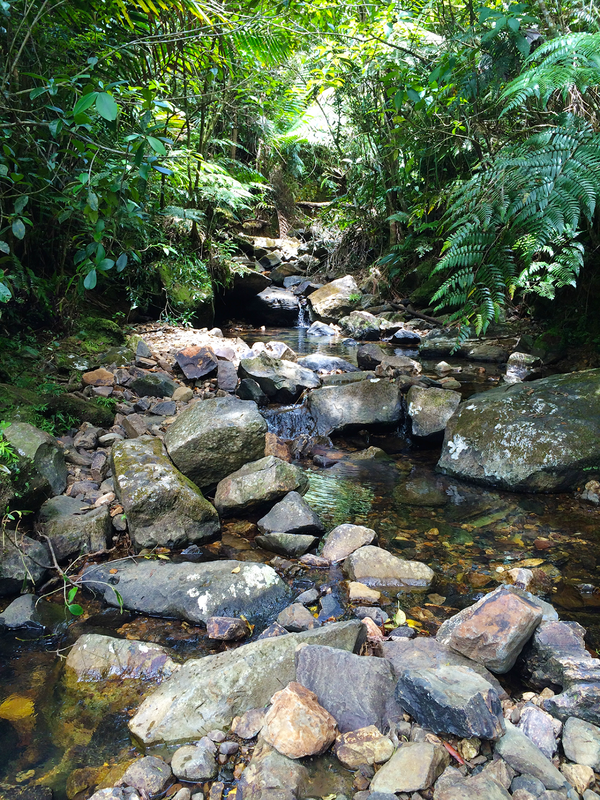 There were lots of gorgeous creeks like the one above that we came across. So I guess the silver lining to crawling up this enormous mountain was... nature?? No but forrrreal, you guys. If you go hiking, be prepared. The picture above was taken when I was so thirsty I was willing to drink questionable creek water. Fortunately, nearby hikers took pity upon our souls and gave us a bottle of water to drink which helped tremendously. But never again. It was terrible! But beautiful. But still terrible! In an attempt to not be so wordy, I'm cutting this post into two halves. Part two will be up on Friday! 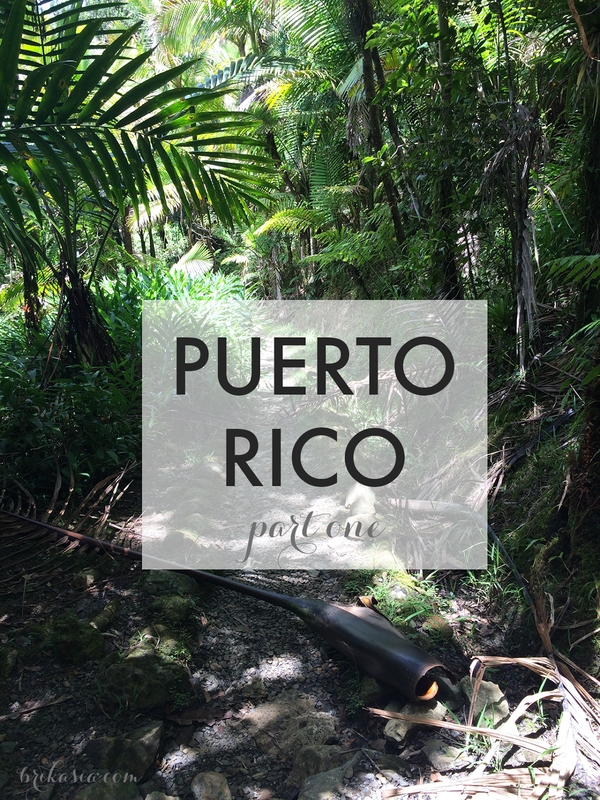 Have you ever been to Puerto Rico, or to El Yunque?